We are thrilled to host a meet and greet with YouTube personality and prankster extraordinaire JennXPenn! If you are one of her 2 million followers, come meet Jenn, take a selfie, and purchase a signed copy of her new book, Really Professional Internet Person! 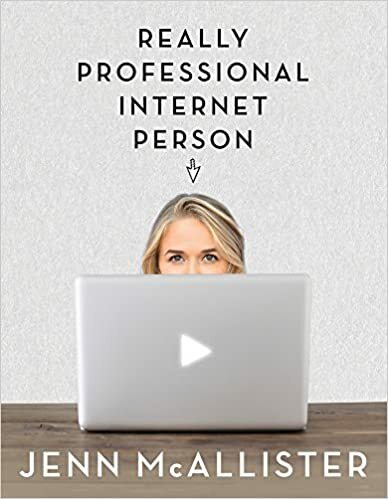 Jenn’s book, Really Professional Internet Person, offers both an insider’s guide to building a successful YouTube channel and an intimate portrait of the surreality of insta-fame and the harsh reality of high school. The book will feature top ten lists, photos, screenshots, social media posts and never-before-posted stories and will chronicle the 18-year-old’s personal journey from shy middle-schooler to YouTube sensation. We’re excited to welcome Jenn to BookPeople! Tickets are required and only available from BookPeople. Hope you can join us Wednesday, September 2! Next Post The Stand Up Sit Down Book Club Has Read GNARR! And Now It Wants To Be Mayor Of Austin! Jen is amazing and love that computer!